Hi Bubby and Bean friends! I'm Lindsay, life and style blogger, health enthusiast, and most importantly momma. I am a huge fan of Melissa and her piece of the internet and am so excited to be here today. 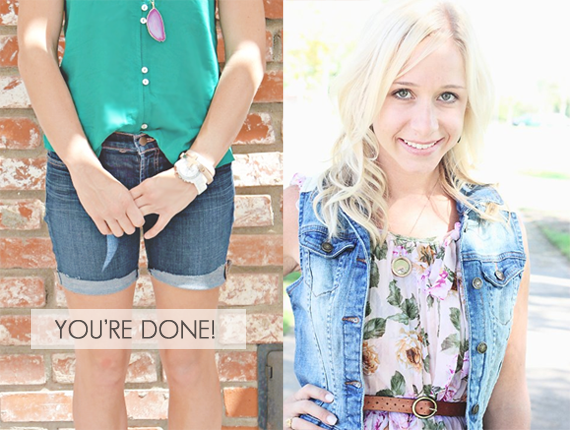 I love all things DIY and wanted to share a fun, summer, fool-proof DIY for denim cut-offs. 1. 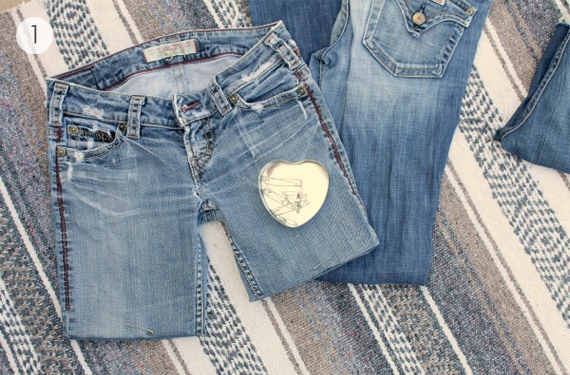 To start, try on the jeans to determine how short you want them and mark with a pen. 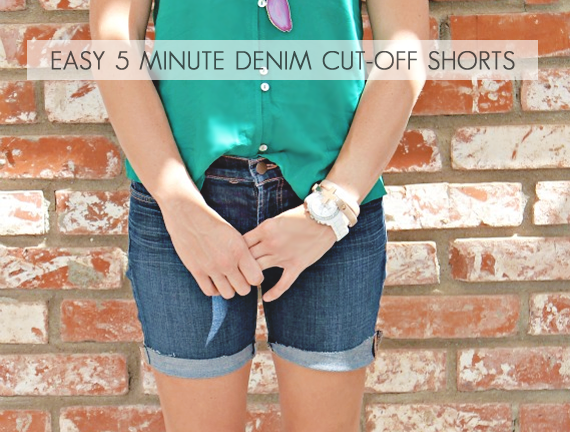 Because these will be cuffed shorts, be sure to allow about an extra inch and a half for folding. Take off, do a quick cut using the pen marks as guides, then try on again. Pin safety pins at the desired length. 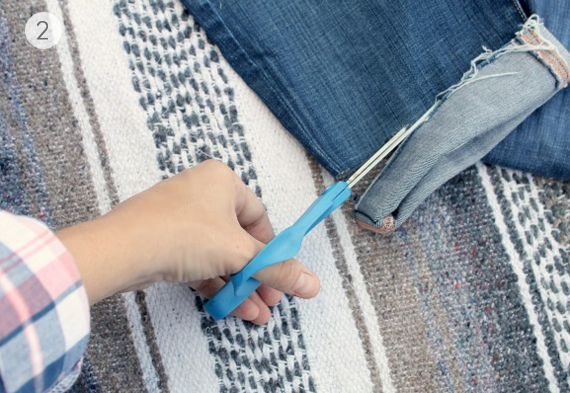 Take jeans off and lay them flat. 2. 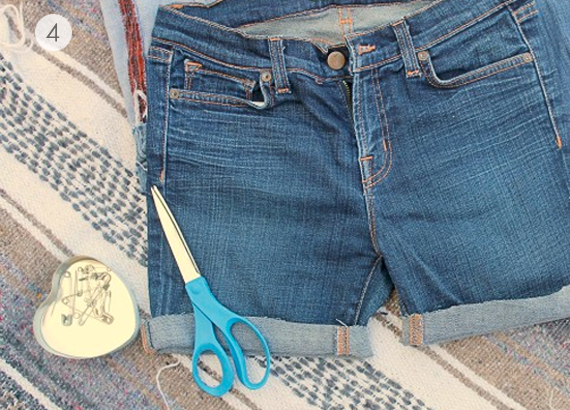 Cut each leg with scissors using the places you marked with safety pins as a guide. 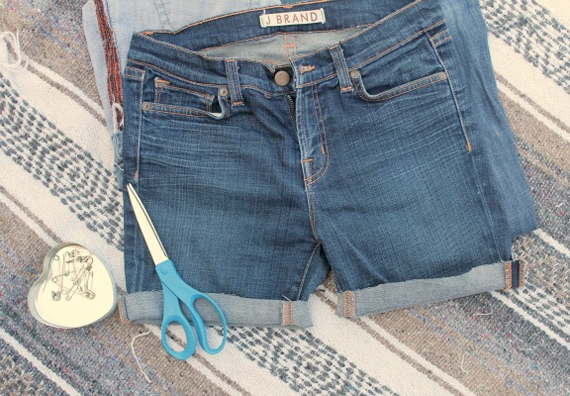 If you cut them at a slight angle with the outside of the leg longer, it will create a more flattering fit. 3. Fold each hem up about an inch and a half. 4. Iron the cuffs in place. 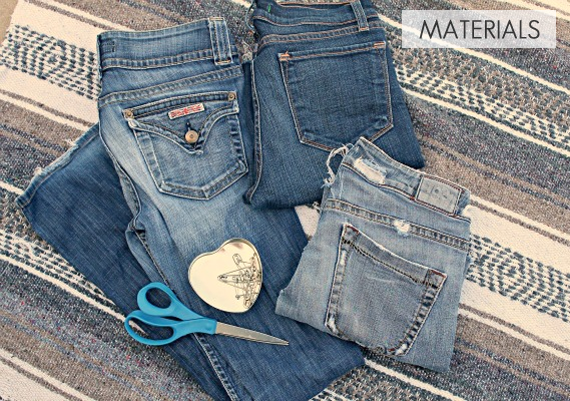 If you want them to remain folded after washings without having to fold up with each wear, hand-sew a few quick stitches in place at the inside and outside seams with a needle and thread. 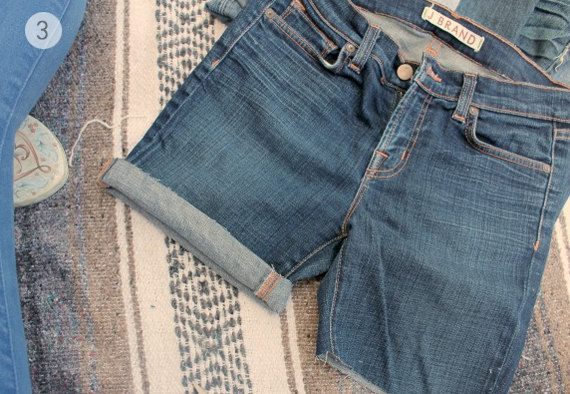 For a frayed look, wash them before wearing. There you have it. A new pair of shorts! You can go as short or long as you like. I'm more modest when it comes to shorts. It's the mom in me. Happy crafting! Thank you for having me Melissa. And please come stop by my blog and say hello! I love meeting new friends. You can also find me on Facebook, Instagram, and Twitter. Thanks for sharing!! When I was hanging out with Paige we went to TopShop and saw that they had cut off jeans for like 40 dollars or more. Of course we both said that we could get some jeans from the thrift store and make our own. Pretty easy tutorial. Great guest post tutorial. I had just discussed with another blogger about the need for modest shorts. DIYs can solve that! I love the extra tip about cutting at an angle, and adding a couple quick stitches to keep in place. Trying this after work today!